Carlson Construction is an integrated cut/fill takeoff and 3D surface modeling software solution designed for site and road construction. It offers powerful inspection and 3D viewing tools for elevating 2D designs to 3D model files. 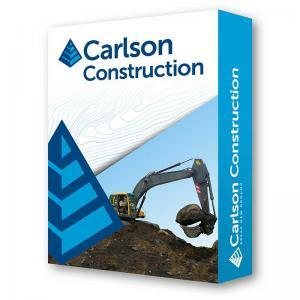 Carlson Construction’s Material Quantities Reports give estimators the volume, area, length and/or count for items such as asphalt, gravel, curb, or any “subgrade” or “select fill” that’s defined. For construction data prep, Carlson Construction creates surfaces from points and contours and can easily move lines from the “wrong” elevation and slope to the correct elevation and slope.